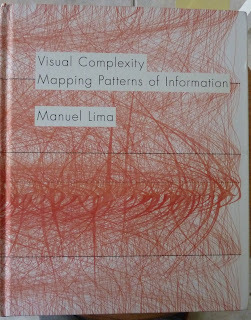 I recently got a copy of Manuel Lima's handsome new hardback volume, Visual Complexity: Mapping Patterns of Information. 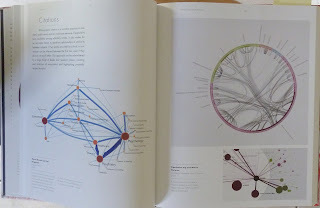 Its packed with lovely examples of information visualisation and network graphing, along with some insightful discussion. It provides a valuable complement to Lima's excellent Visual Complexity web catalogue. 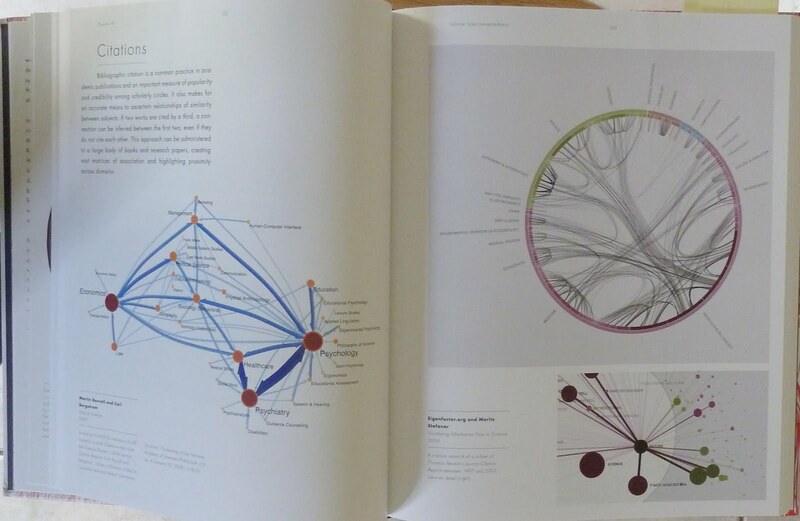 The overall production design of Visual Complexity is also nicely done by Princeton Architectural Press. My only quibble really is with the cover design - a bit uninspiring I thought. Below is a sample page spread. I recommend purchase if you're interested in the varied and surprising ways to spatially represent information. I have posted a draft of a new cartography paper on the Social Science Research Network as an experiment in early distribution of my research. The paper is titled Mapping Experience: Crowdsourced Cartography and is jointly authored with Rob Kitchin. It is currently under review with the journal Environment and Planning A for a theme issue on neography. It will be interesting to see what response we get from the reviewers. This paper considers the emerging phenomena of crowdsourced cartography in relation to ideas about the organisation of contemporary knowledge production in capitalist societies. Taking a philosophical perspective that views mapping as a processual, creative, productive act, constructed through citational, embodied and contextual experiences, we examine how we might profitably analyse collaborative crowdsourced projects like OpenStreetMap to better understand geographic knowledge production in a shifting political economy and socio-technical landscape. We begin by characterising crowdsourcing practices in the wider context of Web 2.0, which some commentators assert is rapidly becoming a new, dominant mode of knowledge production. We then contextualise Web 2.0 knowledge production, drawing upon the ideas of sociologist George Ritzer, and his notion of ‘prosumption’, geographer Michael Goodchild’s idea of volunteerist ‘citizen scientists’, and economic commentator Nicholas Carr’s critique of the ‘ignorance of crowds’. We then go on to discuss the changing nature of cartography in the Web 2.0 era with respect to authorship, ontology, representation and temporality. 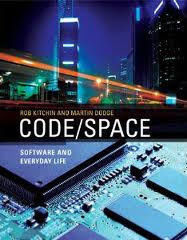 Our Code/Space book gets its first mention in an academic article. Paul Dourish and Melissa Mazmanian cite it in their new and interesting paper, "Media as Material: Information Representations as Material Foundations for Organizational Practice". Dourish, a professor of informatics, does a lot of interesting work looking at the intersections of computer code, software systems and the wider social implications and culturual meanings of pervasive digital technologies. Also, our large edited collection on cartography, The Map Reader, gets a nice write-up on Fabian Neuhaus' blog, UrbanTick.